Next to declawing, the indoor-outdoor question is probably one of the toughest questions for cat owners, with both sides polarized to their own views. Indeed, this debate seems to be more prevalent in the United States, as in many other countries, cats are allowed free access to the outdoors. The bottom line is that sometimes circumstances are conducive to allowing cats free rein to the outdoors. Indoor cats are lazy and don't get the exercise they need. Cats by their very nature seem to deserve the freedom of outdoor life. 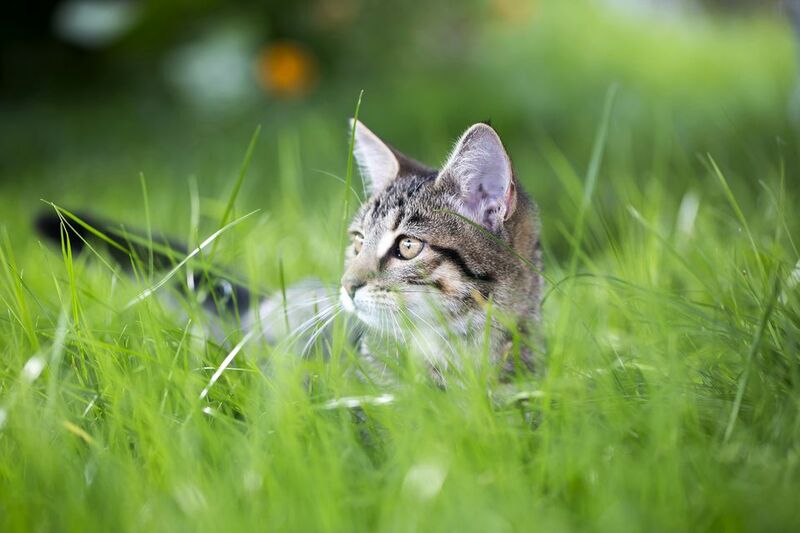 Cats love the outdoors, fresh air and the sunshine, and many of us love watching them there. While there is no absolute rule about how to care for your cat, the evidence is all on the side of keeping them indoors. Cats are able to live a healthy, happy life indoors under the right circumstances. Provide your cats with viewpoints from which they can easily observe the outside world. Bird feeders can attract wildlife to a spot where your cat can watch without touching. For many cats, observing wildlife is almost as much fun as catching and killing it. Have a variety of ways for your cats to exercise. You can purchase cat towers or build your own. In fact, building a cat's playground can become a terrific weekend DIY project. Engage with your cat. One of the great benefits to letting your cat roam free is the reality that he will find his own amusement. That takes a load off you, the cat owner. When you keep a cat indoors, he will get bored and want to play—and it's up to you to say "yes" as often as possible. Cat toys, lasers (being careful to avoid the eyes), and human/cat games can be a lot of fun. Set limits to preserve your home and sanity. While it's great to create kitty fun zones, it's also important to set limits to your cats' indoor range. One easy way to keep your cat out of your bed, off the counter, or out of the trash is to latch doors between your pet and temptation. It is tough to limit your beloved pet's activities—but safety (for your cat and local wildlife alike) must come first.